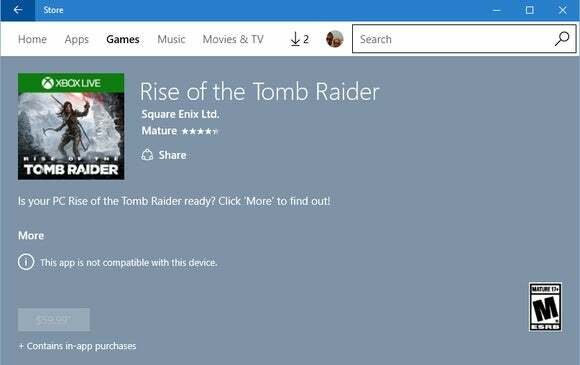 A prominent game developer is sounding the alarm over Microsoft’s Windows Store and what it could mean for the future of PC gaming. Tim Sweeney, co-founder and CEO of Epic Games, wrote in The Guardian that Microsoft is trying to monopolize PC games with the Universal Windows Platform and app store. “With its new Universal Windows Platform (UWP) initiative, Microsoft has built a closed platform-within-a-platform into Windows 10, as the first apparent step towards locking down the consumer PC ecosystem and monopolizing app distribution and commerce,” Sweeney wrote. Although Sweeney said he’s not opposed to the Windows Store as a concept, he accused Microsoft of launching new features exclusively for UWP apps, and not allowing those apps to exist outside of the Windows Store. He suggests that Microsoft treat UWP apps the same way as traditional Win32 programs, so they can be distributed directly by publishers and third-party stores such as Valve and GOG. But upon closer reading, Sweeney’s arguments are strangely devoid of substance. Sweeney doesn’t give a single example of PC gaming features that are only available to UWP apps, nor does he name any desired tools that are unavailable as part of Win32. He also doesn’t present any evidence for his claim that Microsoft could discontinue Win32 programs for consumer versions of Windows. In fact, today Win32 is a much more powerful platform for PC games, which means the Windows Store is best avoided by developers and gamers alike. Epic Games developed Gears of War before selling the rights to Microsoft, which just released a revamped version as a Windows Store exclusive. Sweeney also undermines his own argument in a couple of ways. First he argues that UWP apps pose a grave threat to today’s vibrant Windows ecosystem, then he notes that Windows Store apps aren’t particularly popular. He also fails to articulate how Microsoft’s walled garden is any different than Valve’s Steam platform, aside from the fact that Microsoft controls it. It’s too bad, because there are specific, legitimate concerns to be raised over the direction of Windows and UWP. 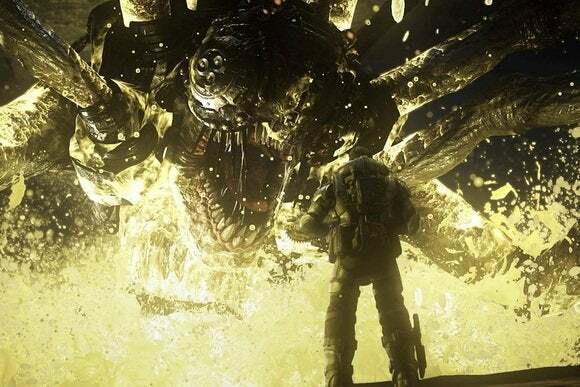 As PC Perspective recently reported, Microsoft appears to be enforcing a standardized rendering pipeline through its own Windows compositing engine for games that use DirectX12. It’s a deeply technical issue, but one that could help facilitate new gaming features that Microsoft may want to build exclusively for UWP. And sure, it’s reasonable to have some vague suspicions about Microsoft’s long-term goals with UWP, simply because Microsoft does control the underlying Windows platform. 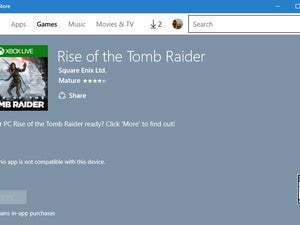 One could point to the Windows Store-exclusive launches of Gears of War: Ultimate Edition and the upcoming Quantum Break as examples of Microsoft trying to nudge PC gaming in a particular direction. But at the same time, other publishers like Valve and EA are free to publish exclusives to their own Steam and Origin distribution platforms. And as Sweeney himself points out, Steam has more than 100 million users currently. Blizzard and Riot Games have their booming platforms exclusively for hits like Diablo III and League of Legends. How do PC gaming platforms that large even begin to disappear at Microsoft’s behest? Again, Sweeney provides no evidence. Perhaps Sweeney, as the head of a major gaming developer and toolmaker, is privy to some off-the-record details that he can only allude to in his editorial. If so, it’d be great to hear what he really knows. As it stands, his rallying cry against Microsoft is the type of facile analysis that only appeals to our most paranoid instincts.